While preparing for a lecture on bank history, I ran into this excellent working paper by Joost Jonker that summarizes the history of commercial banking (read: ABN AMRO). It's title is: Scale at any price and its subtitle: The rise and predictable demise of ABN AMRO, 1960-2006. It describes how the essential flaw for ABN, AMRO and ABN AMRO was that the company did not pay sufficient attention to creating a sound cost- and funding basis. Although the retail part of ABN AMRO grew considerably in the 1970s, the cost/income ratio was left unattended and it never really grew into a universal bank. So in the Netherlands the company became a conglomerate of business lines with little insight into its own cost-structure. And then after 1990 the company chose to further expand, while it's internal house wasn't sufficienly in order. These elementary mistakes were compounded by the profound mismanagement under which ABN AMRO suffered from 2000: the wilful changes of strategy, the continuous and pointless reorganizations, the inability to cut costs, the ludicrous and expensive pretentions of global excellence. Unable to keep pace with its self-defined goal, the top echelon of international banks, ABN AMRO forced itself into a continuous flight forward, justified by apocalyptic visions of an imminent endgame. When that end seemed near the board rushed ahead to get the best deal possible, arrogantly thinking it could control what was really a sell-out. By now we know the consequences: A sell-off of south American and Italian business to Banco Santander. A take over of the Dutch wholesale-activities by RBS. But RBS, it turned out, was at that point in time not fully ready (or able) to execute such a takeover, according to the FSA. And similarly, Fortis made a leap of faith when choosing to take over ABN AMRO as a member of the consortium. So Fortis ended up being saved by the Dutch state, with the condition that the former HBU-activities be sold quickly (to Deutsche Bank it turned out). The whole process is one of creative destruction (as Schumpeter would call it). Which essentially means that there is a re-assembly of old businesses into new forms/shapes. For the banks involved, it means they are going back to basics, re-orientating towards solid cost/income ratios and customer satisfaction in a renewed competitive landscape. This new year brings with it another historic moment. 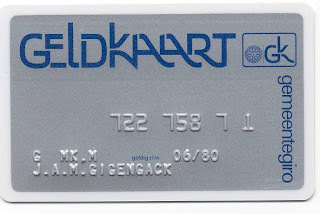 The PIN-system for Dutch cardpayments disappears. 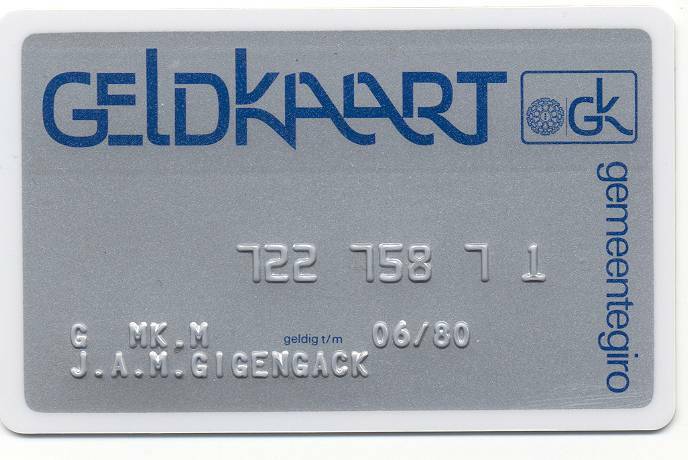 Here in the Netherlands, we had one of the cheapest and efficient implementations of point of sale payments: PIN. But the evolving technology (chip), fraud figures for magstripe as well as the increasing internationalization (European integration) made us migrate to Maestro instead. Of course this is Maestro with a Dutch flavour because the Dutch merchants have negotiated a good prices deal with the collective of individual banks. For the consumer the migration means that he or she has to dip the card rather than swipe it. And on the online-banking systems and account statements they may notice that the payments in some cases are no longer directly debited but first 'reserved' to be finally debited and booked some days later. Other than that, I expect that to the consumers the concept of PIN is not so much related to the brandname PIN but to the use of a card with PIN-code. So to them PIN may disappear but they keep on 'pinning'.